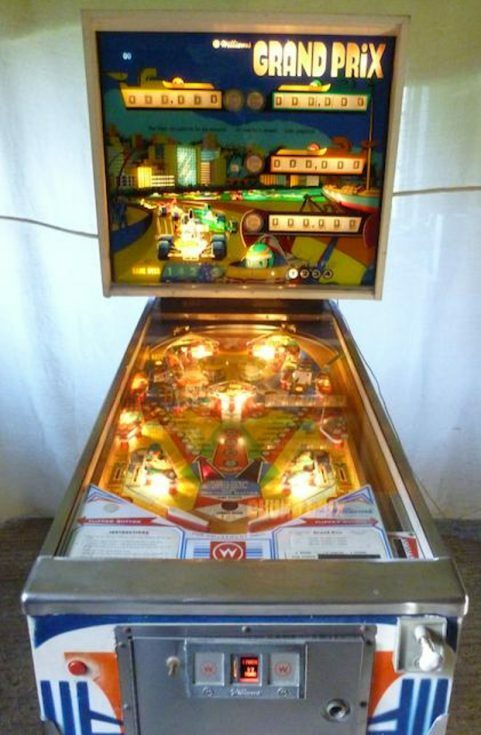 The pinball machine was invented in the 1700’s and in 1869 after the end of the American Civil War the spring launcher for the little metal balls was invented. From there on in the pinball machine became the source of fun entertainment for young and old being not quite as addictive as the computer games we have today, and therefore more fun. With spring launchers, flippers and various fun targets this really is a “fun machine”. 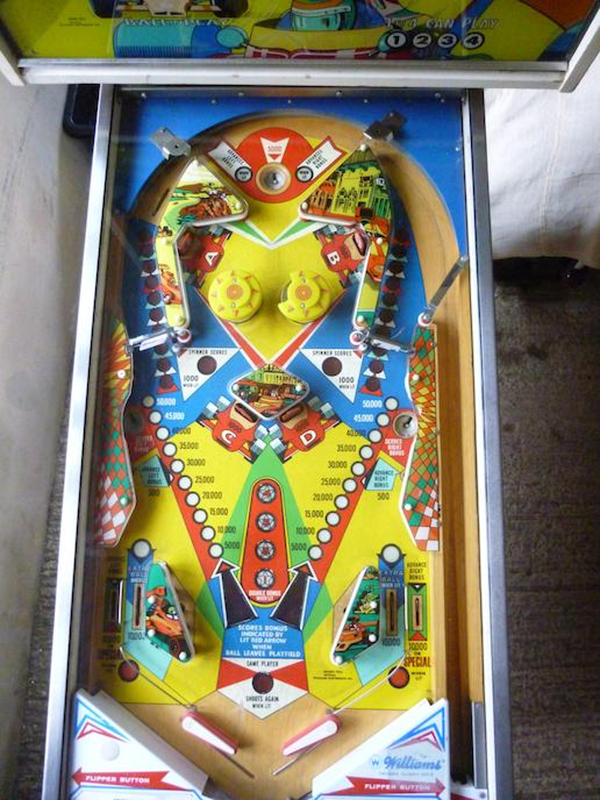 By 1933 with the dawning of the electric age pinball machines became electric entertainment and by the seventies they had gone solid state. Pinball machines were such a popular attraction at cafés that they were without doubt played by the “ton up” boys on their café racers assuming they’d managed to elude the police as they engaged in their “speed thrills” road races from café to café. So central to popular culture were they that British pop group The Who feature a song about a “deaf, dumb and blind kid who sure plays a mean pinball”. The musical is called Tommy and you’ll find a short sample below from the 1975 movie featuring Elton John and The Who. It should transport you back to the seventies just as efficiently as The Doc’s DeLorean time machine. Do you have a “Man Cave”, garage, family entertainment area, place where the petrolheads/gasolineheads come to socialise? If so then you really need a dart board and a Grand Prix pinball machine. The one in our pictures is a genuine seventies machine that the “Pinball Wizard” could have played on. A mere bagatelle with a Grand Prix twist. 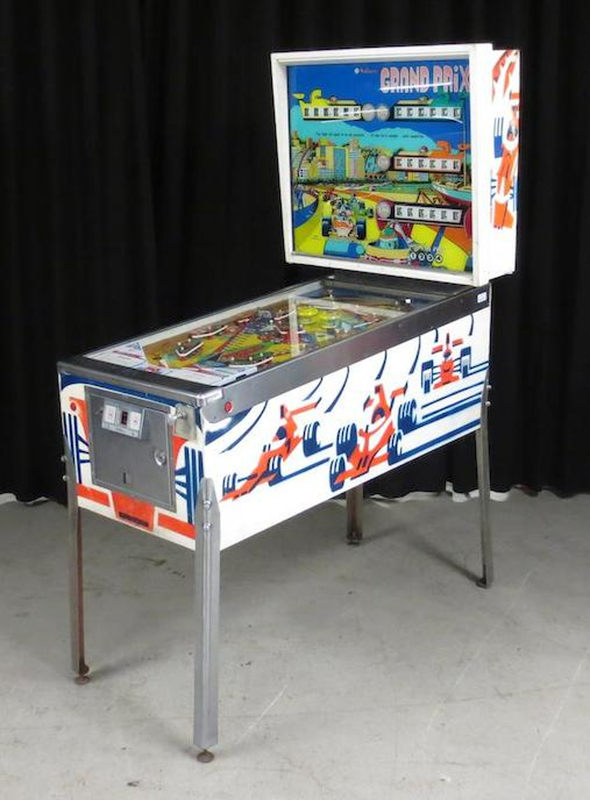 You will find the sale page for this Williams Electronics Inc. of Chicago pinball machine if you click here. The auction will be held at the Beaulieu, National Motor Museum in Britain. The machine does need a few bits of maintenance done on it as one would expect for a cultural icon of the seventies but should prove to be a ball to play. The game accommodates up to four players and could be quite an entertainment hub for your guests.